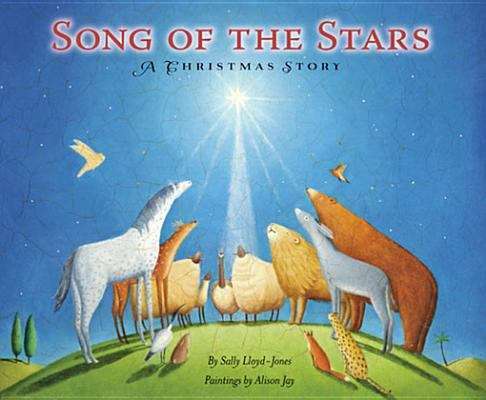 The Song of the Stars, written by best-selling author Sally Lloyd-Jones, is a Christmas book that explores the joy and excitement and celebration in all of creation at the coming of Jesus. They’ve been waiting with eager longing for the coming of God’s long promised son, and when at last he arrives, though it’s mostly unnoticed by mankind, the whole earth holds its breath: their Creator, Jesus, Emmanuel has come to the world that He made. Mountains, trees, seas, skies, stars, animals—the rumor spreads that at last the time has come. It’s time! He’s here! And a poor teenage couple and some ragged shepherds join in their song of joy.